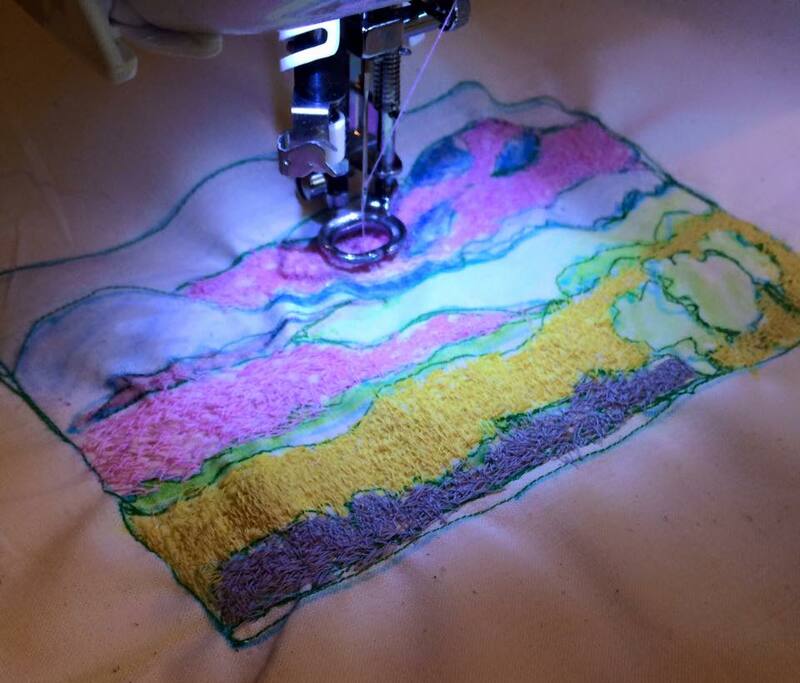 April 2016 – The haberdashery Blog. 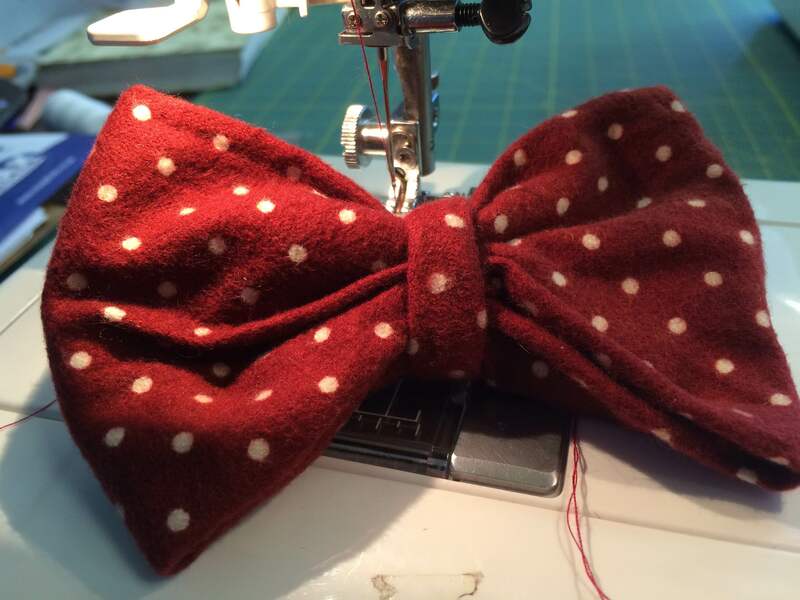 Its been another great week here in the Haberdashery & Sewing Studio. So let’s crack on with this weeks gossip. Monday…..well what can I say. 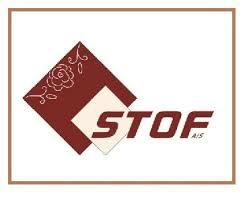 We had a meeting with Stof Fabrics. The company rep turned up with hundreds and hundreds of samples of their range. 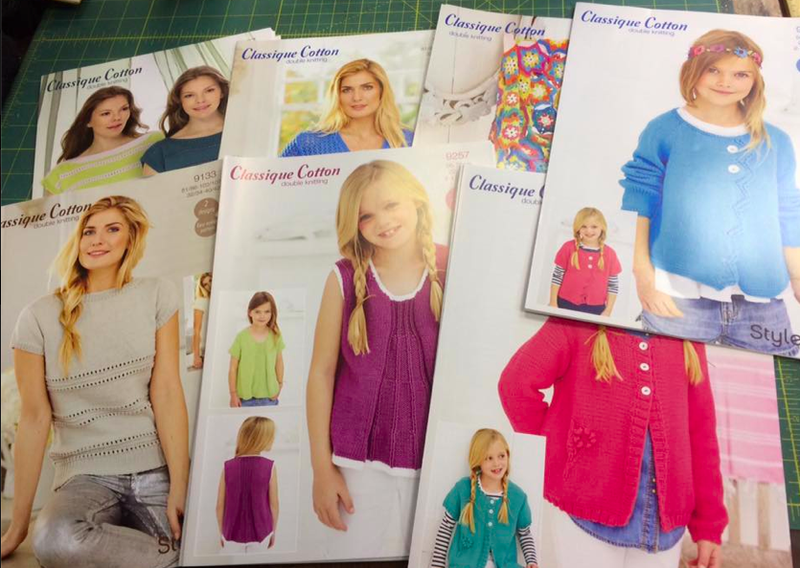 Absolutely gorgeous designs and the quality of the cottons are outstanding. 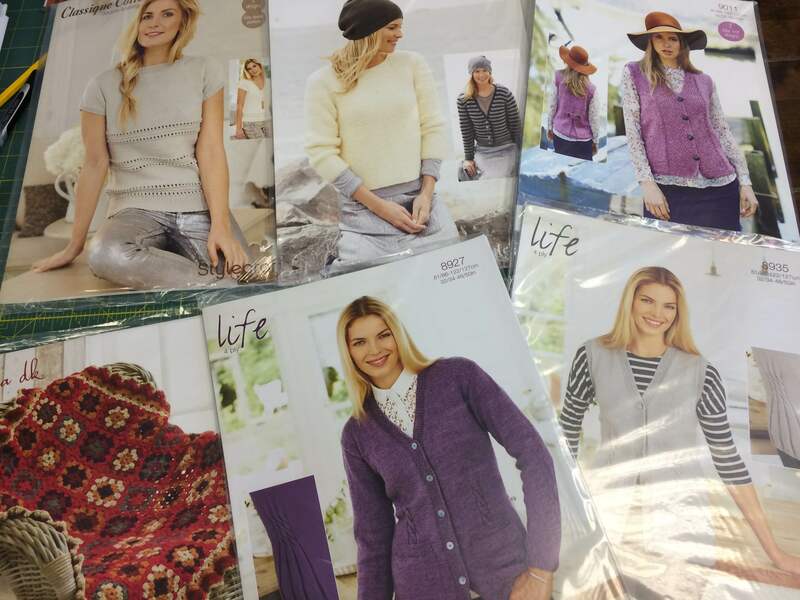 I’m happy to say we are now officially Stof stockists and our first delivery is arriving mid May…..So excited. 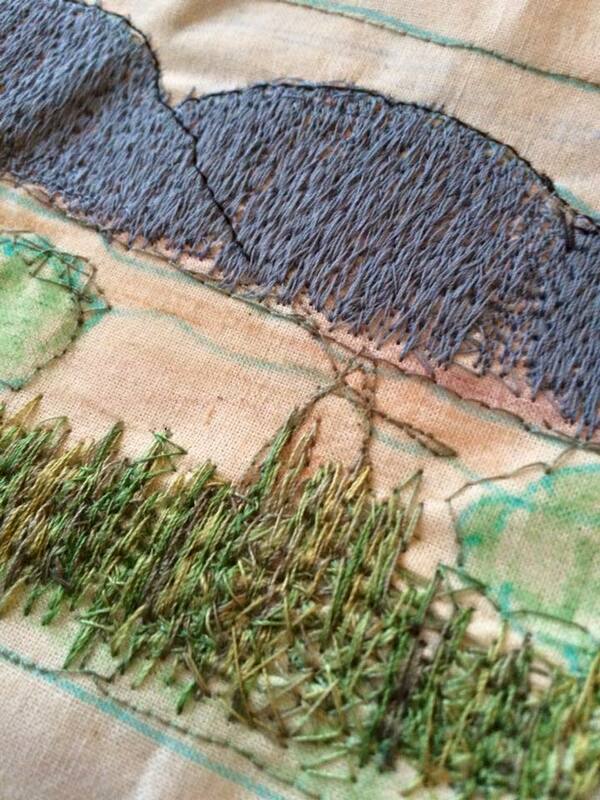 Carrying on with the fabric theme. I actually managed to get time to play with some of our fabrics from Dear Stella.I warn you now this concept is cute, unique and extremely addictive. 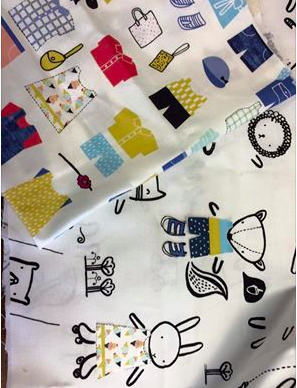 Wee Garden – Dear Stella Fabrics. 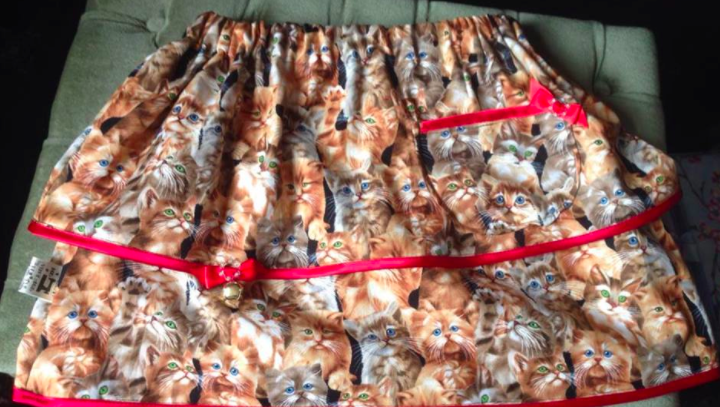 So the idea is, you have both fabrics. One comes full of outfits, shoes, hats, glasses….everything you could think of. The second is printed with the garden scene filled with adorable animals that need dressing up. 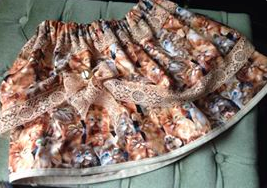 So you pick your outfits, cut them out and dress your animals. 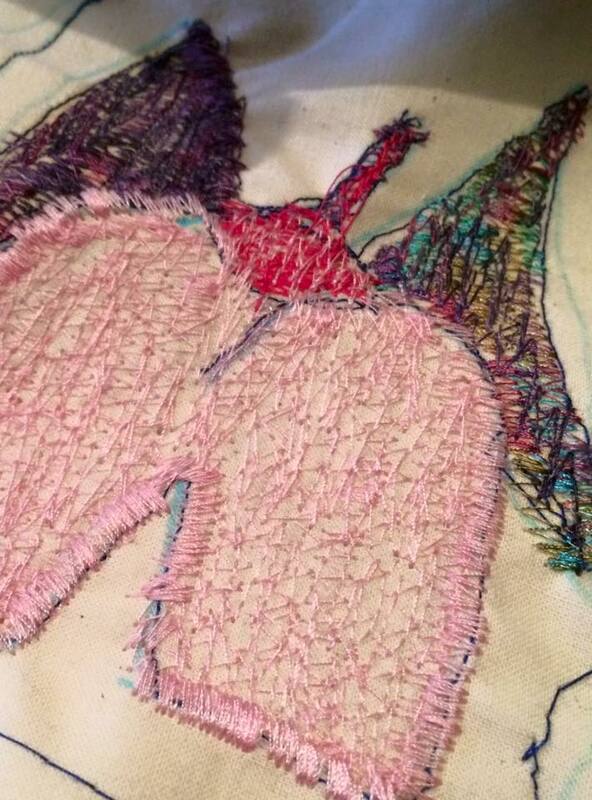 Whether it by hand stitch, machine appliqué, free motion or simply glue. 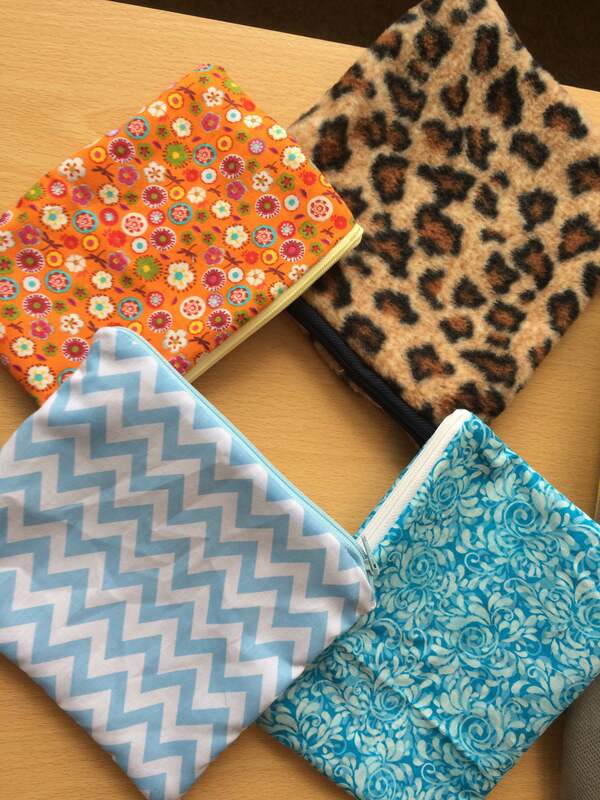 These fabrics are available on our website (our new look website). 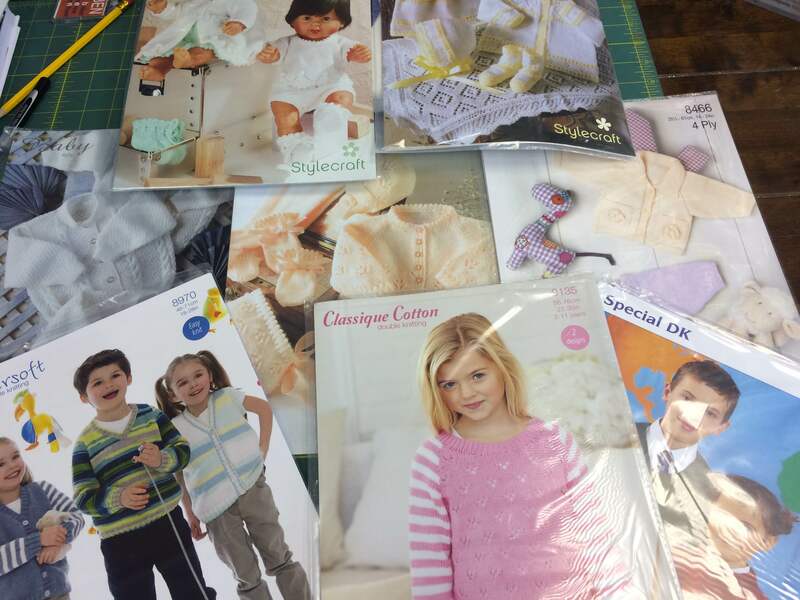 …..
Next topic of conversation is the beautiful on 100% cotton from Stylecraft and patterns. 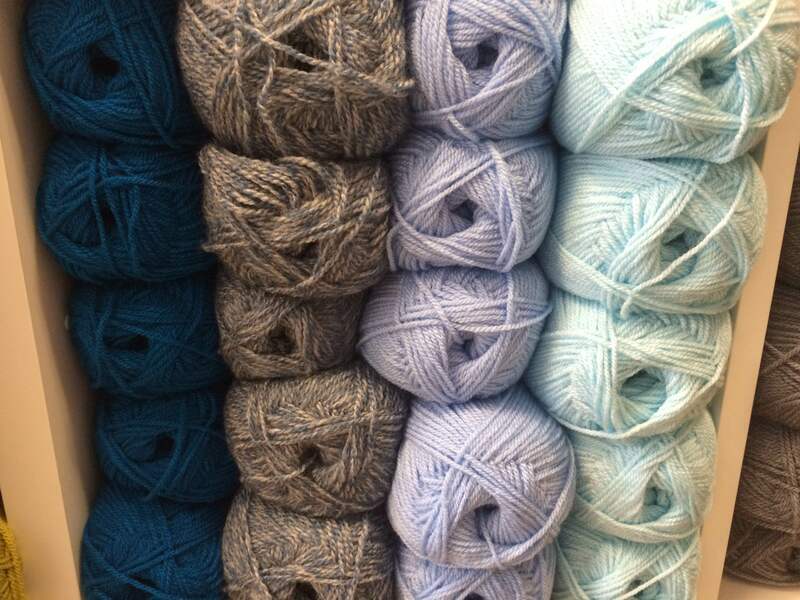 We have this is six different colours…amazing quality. 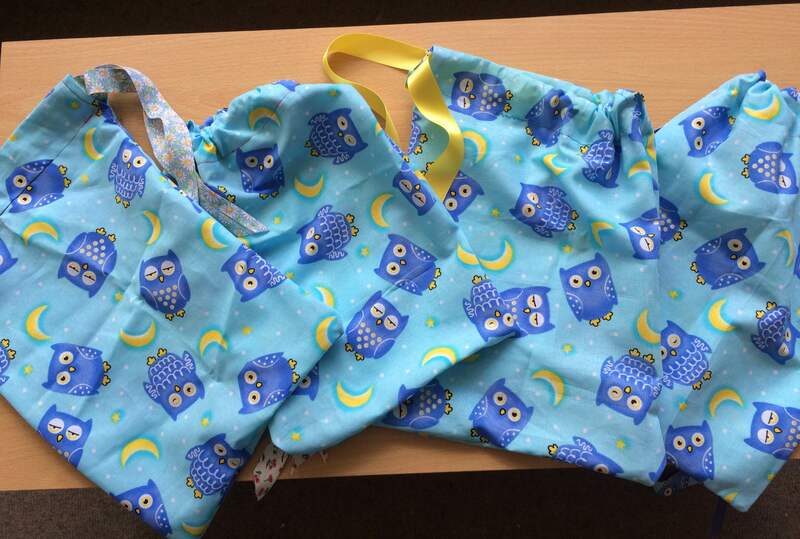 The Sewing Studio has been busy again this week….. 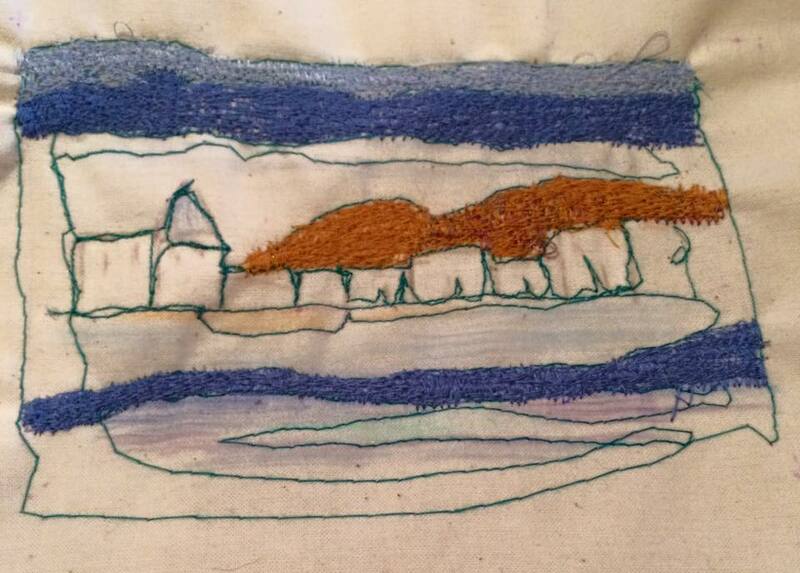 Followed by the new workshop – Thread painting on Thursday evening. Its time for our ‘I made the’ Campaign. So that’s been our week in a nut shell. We are closed on Bank holiday Monday next week so I’ll see you on Tuesday. I want to thank everyone that take time out to read our blog posts. And to everyone that follows us on FaceBook, Twitter or Instagram. Social media can be a mind field so seeing all of you is very reassuring…. Thank you. 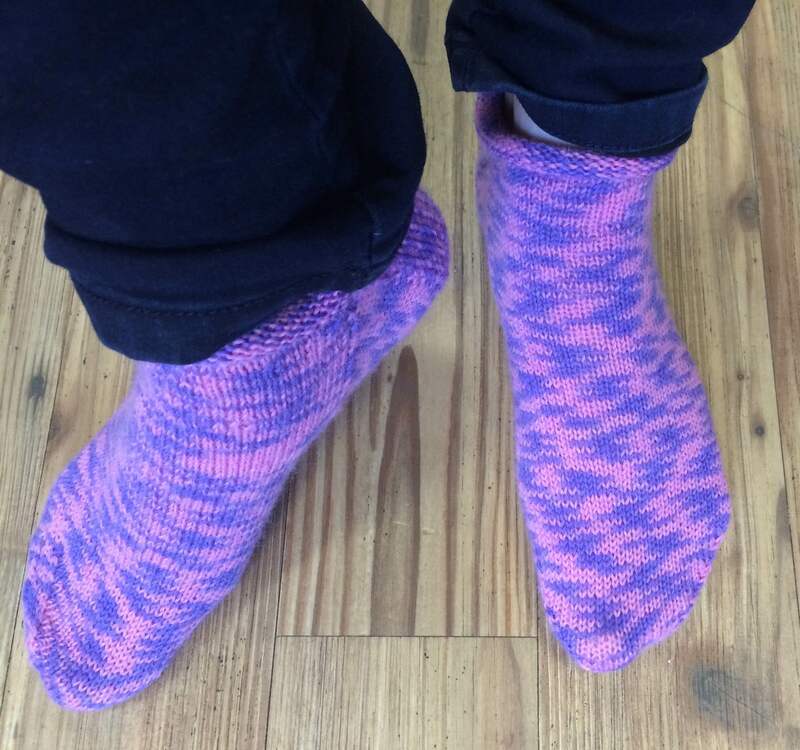 Amazing What You Can Do With Socks! 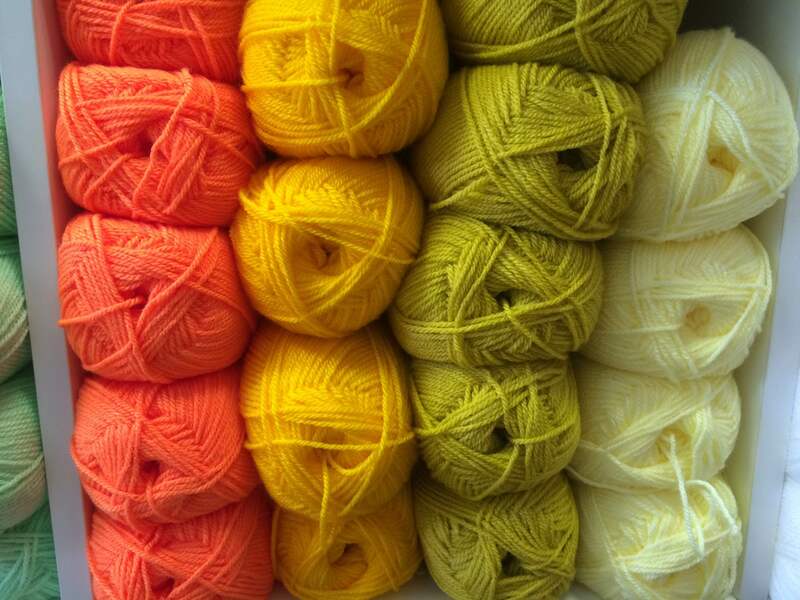 It’s been a very colourful week here in the Haberdashery. 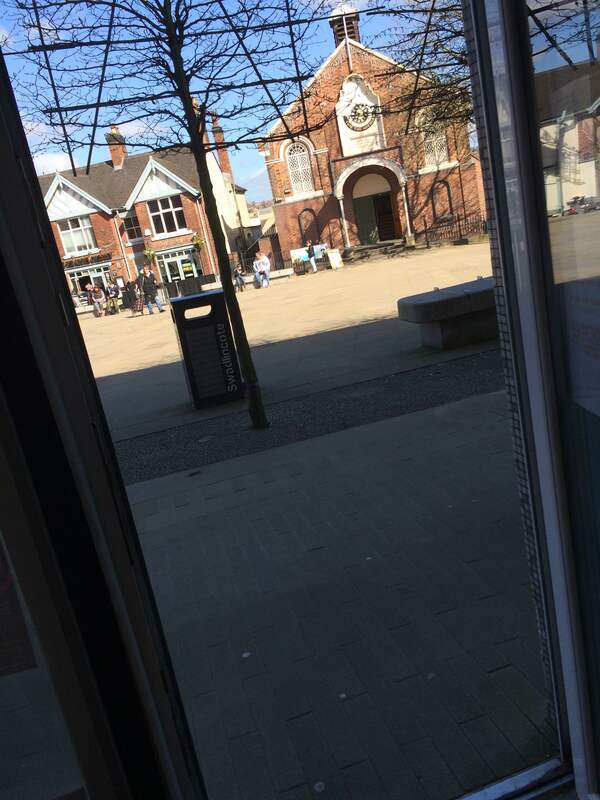 The sun has been shining ( a little bit ) ……. 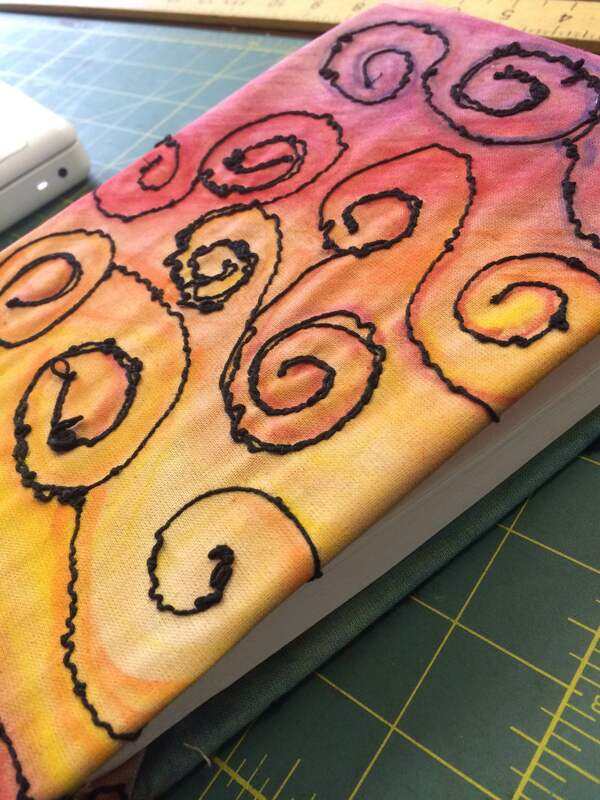 Next up in the colour chart are the sample book covers made up for our next Textile Art Techniques workshop …. 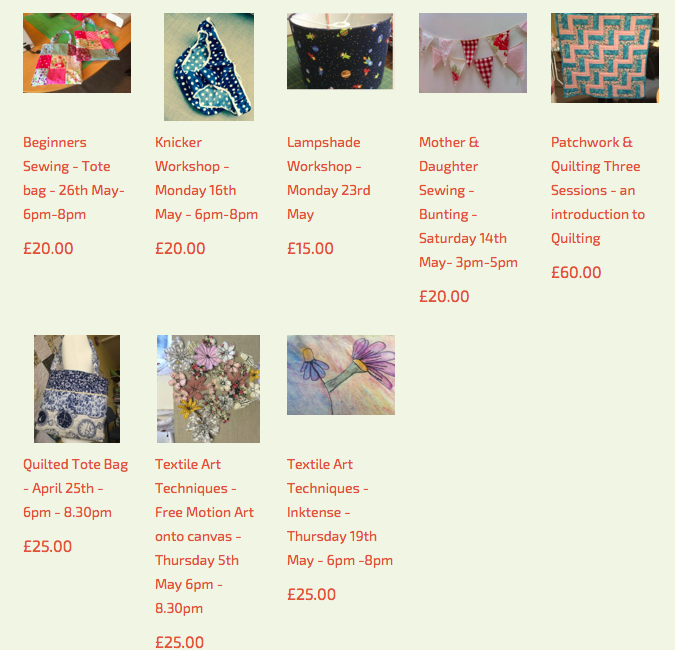 We have so many great workshops running throughout May …..fancy one ? book via the website. So whats been made this week. 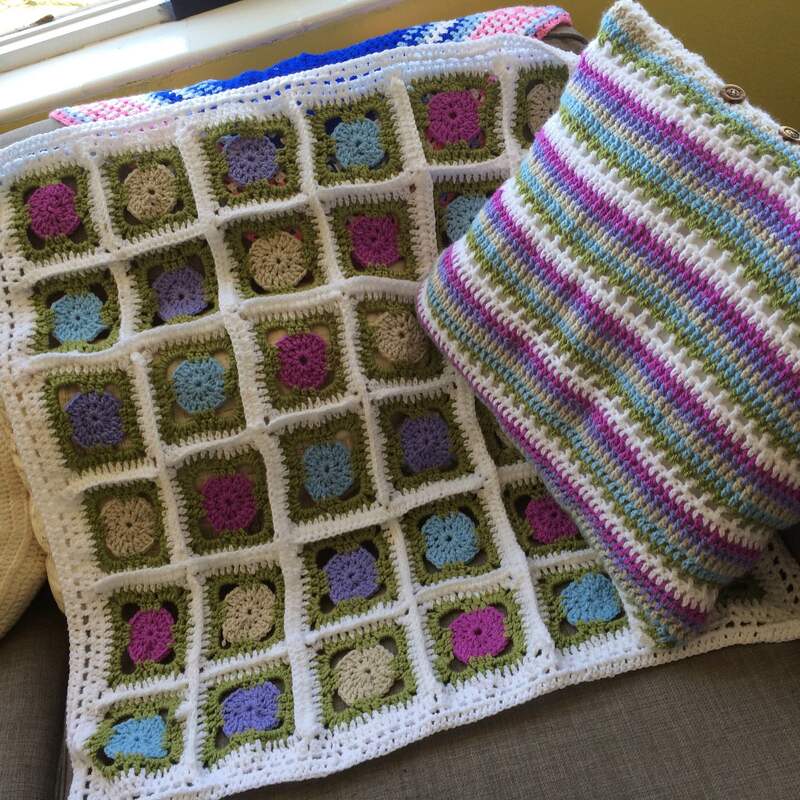 I finished a blanket and cushion pattern by Sytlecraft and using Stylecraft Aran. I love the colours….reminds me of a garden. 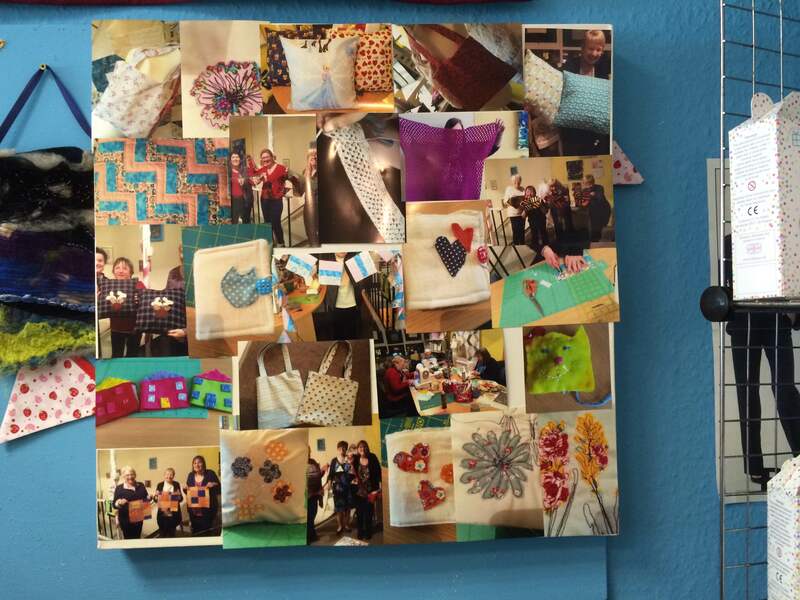 But wait to see what our Sewing Bee students have been up to..
As you can see, a very colourful and creative week had here in Derbyshire. 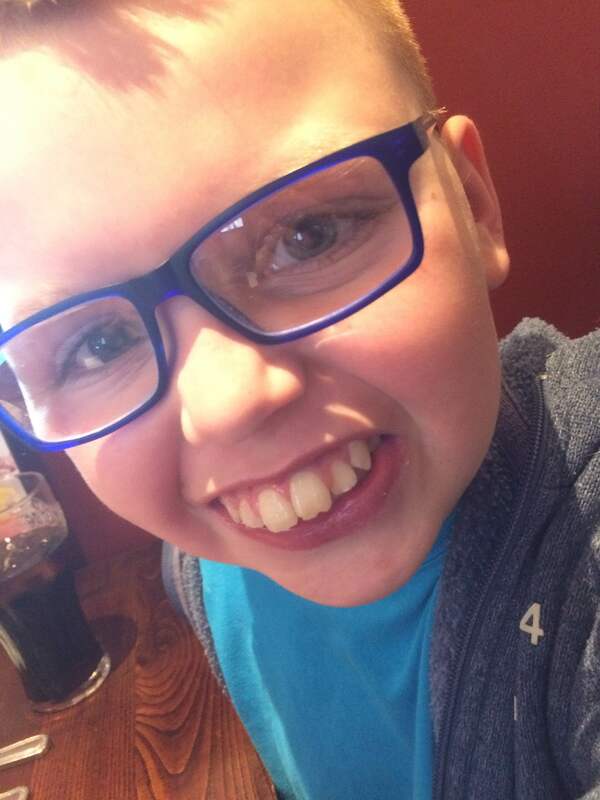 Thats our news for the week….Make sure you follow our blog so you don’t miss any gossip. Have a lovely weekend and I’ll see you on Monday. This weeks been rather quiet but only because since Tuesday I haven’t really be able to hear hardly anything so I’ve asked all my customers to shout at me ……rather embarrassing. 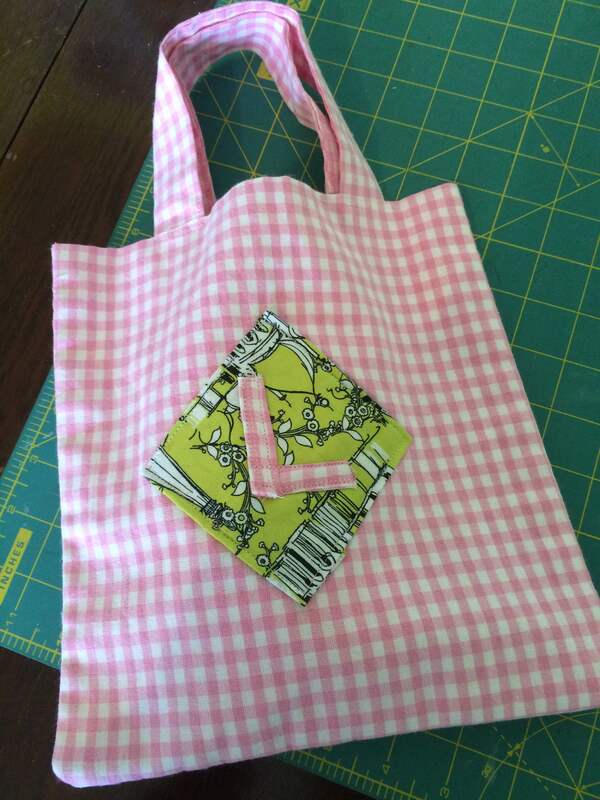 But the haberdashery & sewing studio has been busy and I have lots to show you. 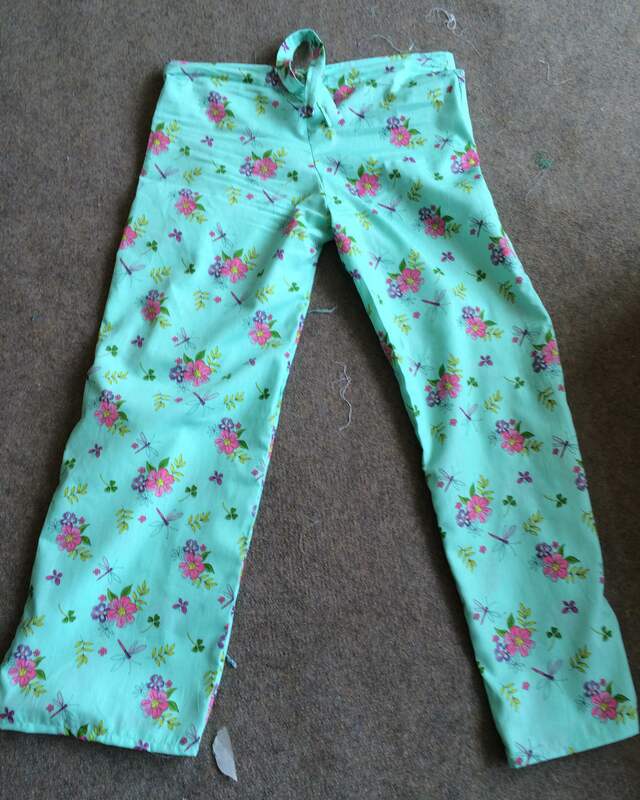 First up ….. Its been manic in the Sewing Studio. 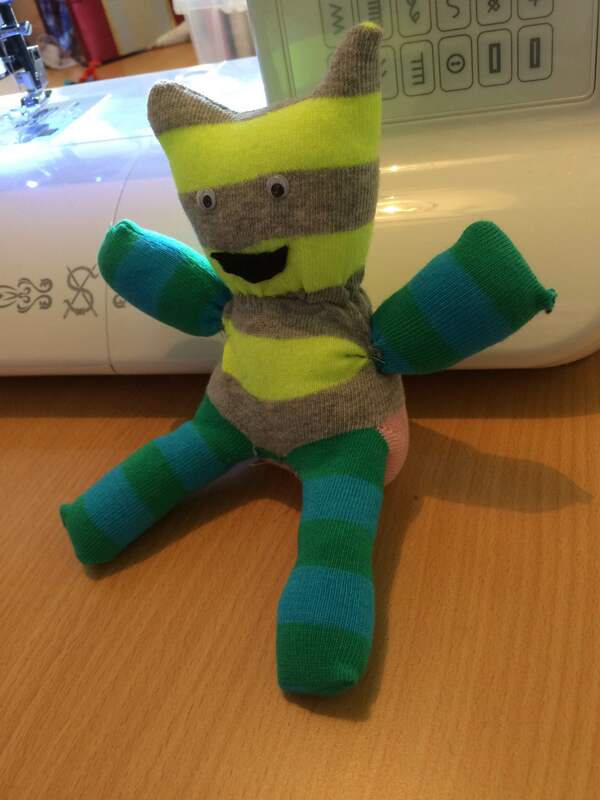 The Sewing Bee – it’s an absolute pleasure to spend time crafting with such a fab bunch of children. 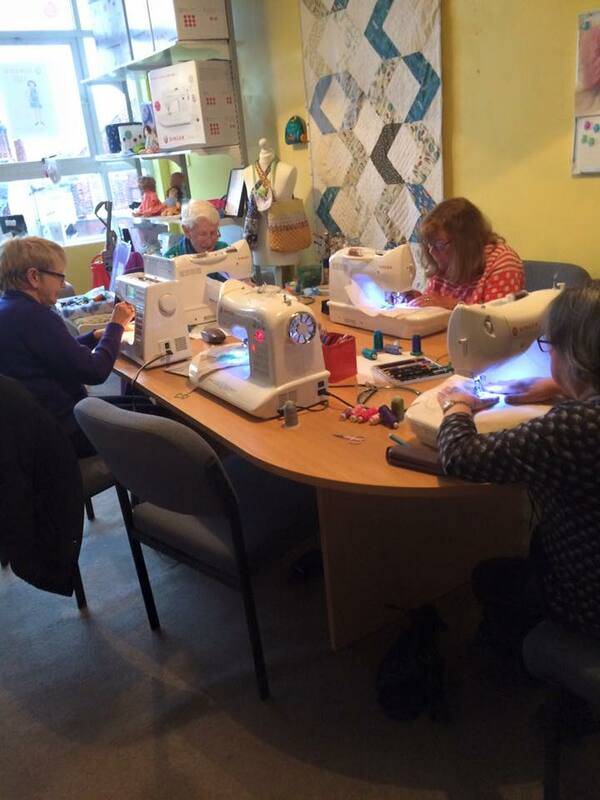 My first group of the day spent the time on our machines completing different practice exercises including lines, corners, mazes, curves, stars and hearts then on the playing with the decorative stitches. 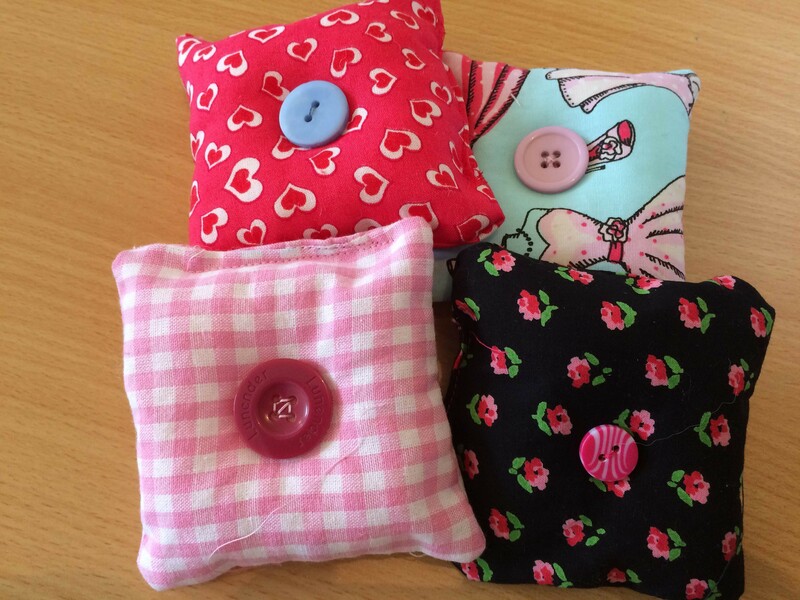 My second group who have already stitched the practise tests last week put their new skills to the test and made pin cushions. 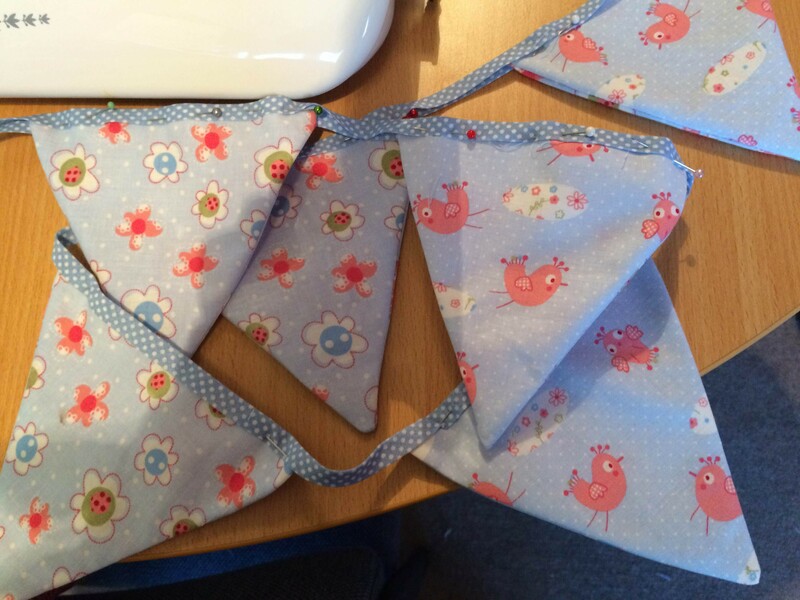 In the week we’ve had more creative workshops including are beautiful bunting workshop…. 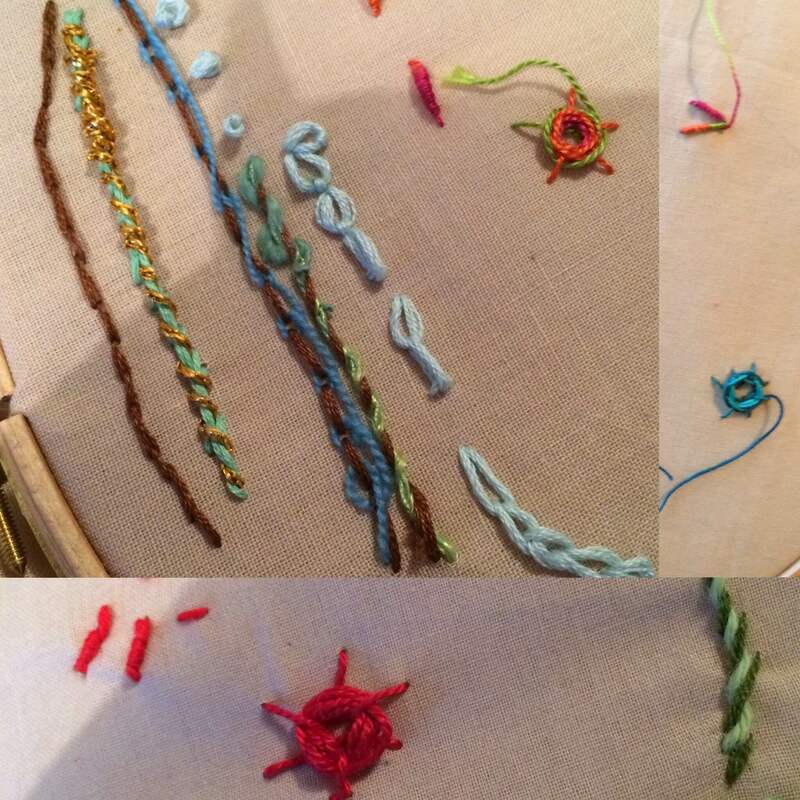 Ladies learnt various stitches and used a great range of threads including stranded threads, crewel yarn, perles, vicose ribbon, boucle and linen thread. 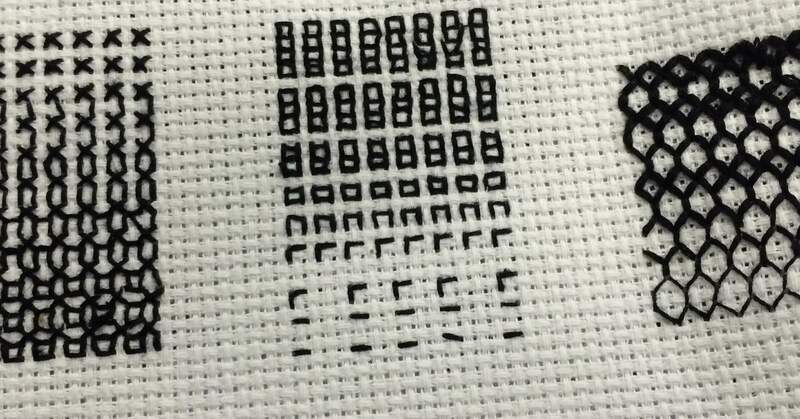 I’ve also spent some much-needed time on my coursework and the topic at the moment ……tonal shades. So whats new this week. 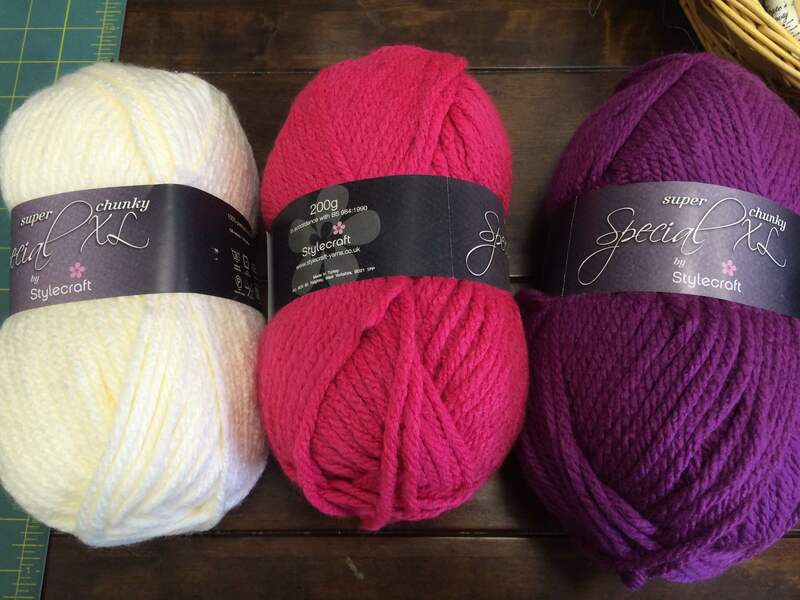 Well we’ve had a lovely delivery from our friends at Stylecraft. 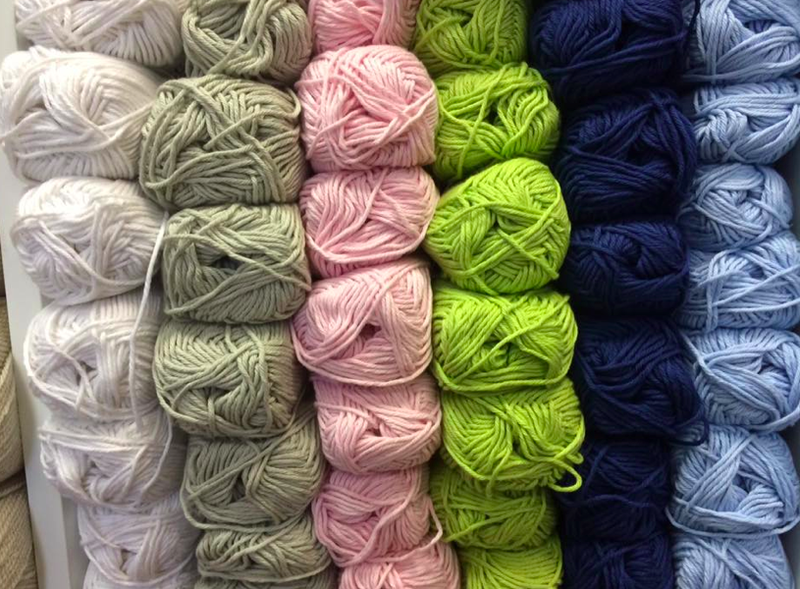 We’ve had glorious shades of dk, chunky and xl chunky as well as patterns for all ages. So that’s it for this weeks catchup, we’ve another fun packed week in store again next week. Thank you for all you support whether in store or online, we really appreciate it. Have a fab weekend and I’ll see you all on Monday. Do you follow our blog? 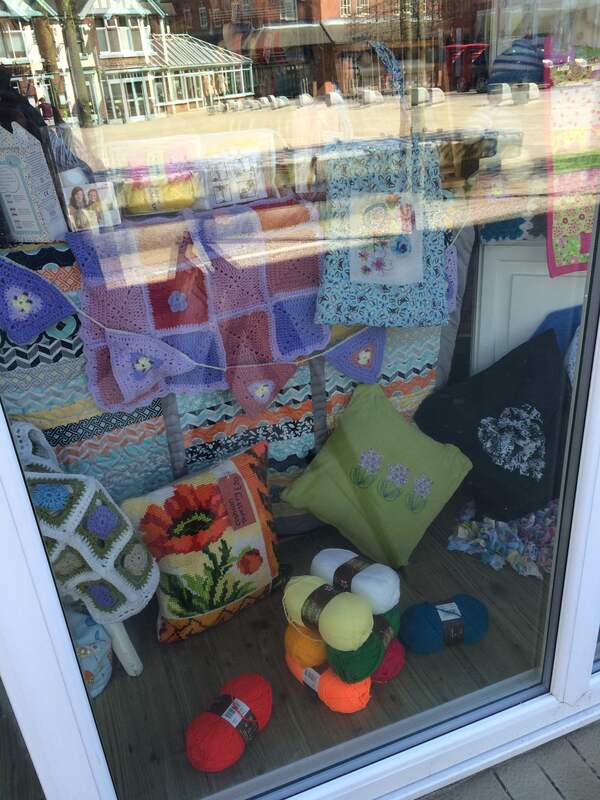 Come and have a look…. 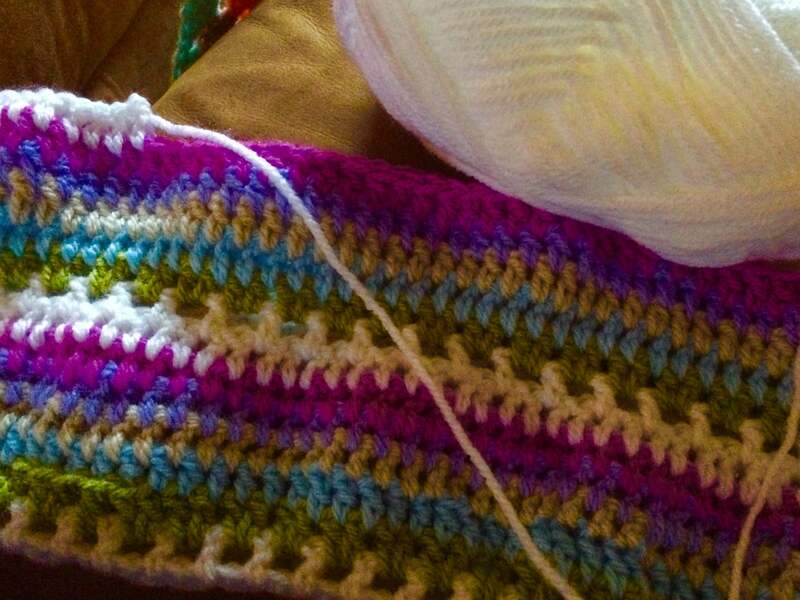 Its been a short week but still packed full of fun and creations. 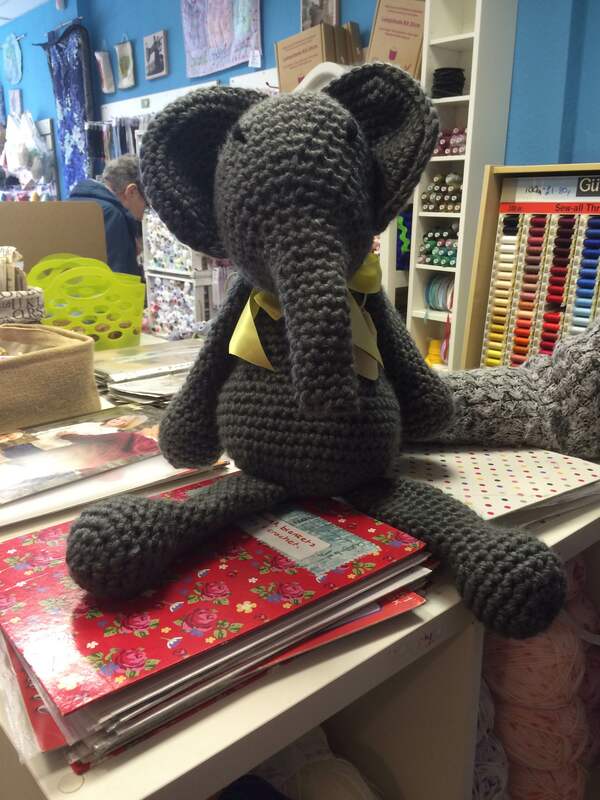 And first day back and straight back to creativity when a lovely customer came in with a gorgeous elephant that she had made. Now the picture does not show how big he is…… 400g of Stylecraft Super Chunky Special XL. 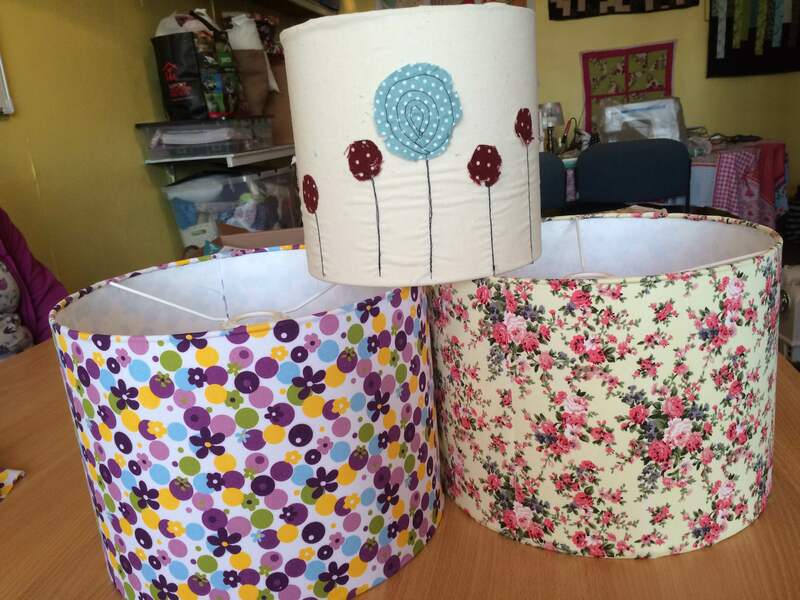 Later this week we also had some fab lampshades made in Sewing Studio which are also off to new homes. As always everyone with a completed project and very proud of themselves…….rightly so. 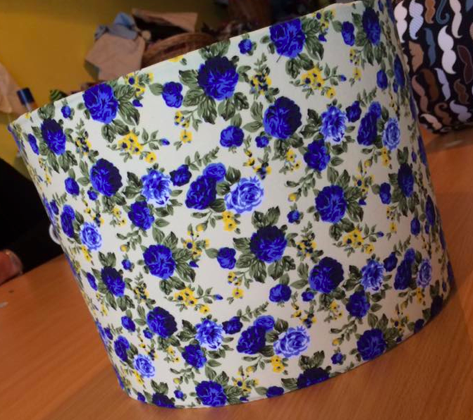 Come and join us on our next Lampshade Workshop and pick the fabrics you want from our Fabric Snug. Kim has been featured on our blog recently in our ‘ I made that’ campaign. Staying on that subject ….. 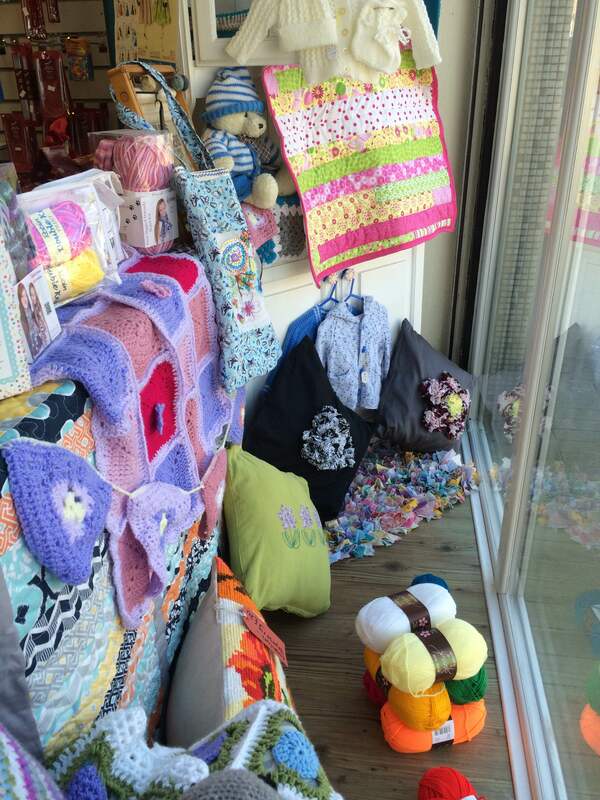 This weeks nomination is one amazing lady who some of you will probably know from visiting the Haberdashery….My Mum. 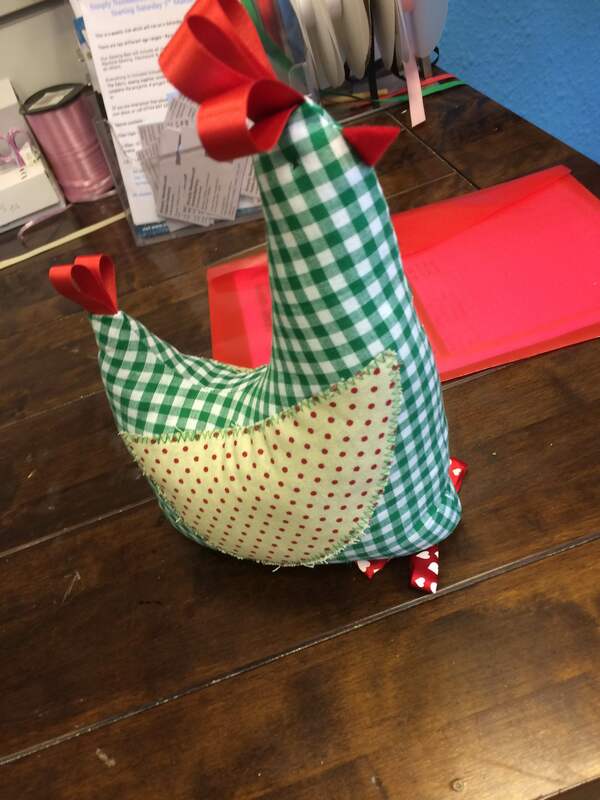 My Mum is absolutely insane about chickens so when she said she was thinking of making a chicken doorstop I wasn’t sure what to think. 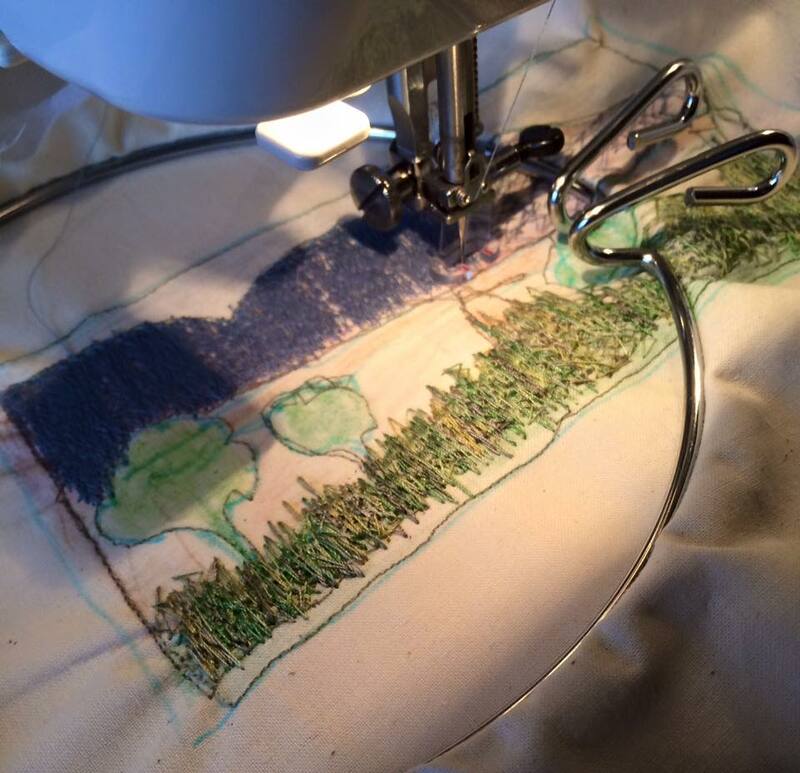 I have started to make the memory canvasses for the shop and sewing studio. I’ve managed one but still have about three more to make so far. 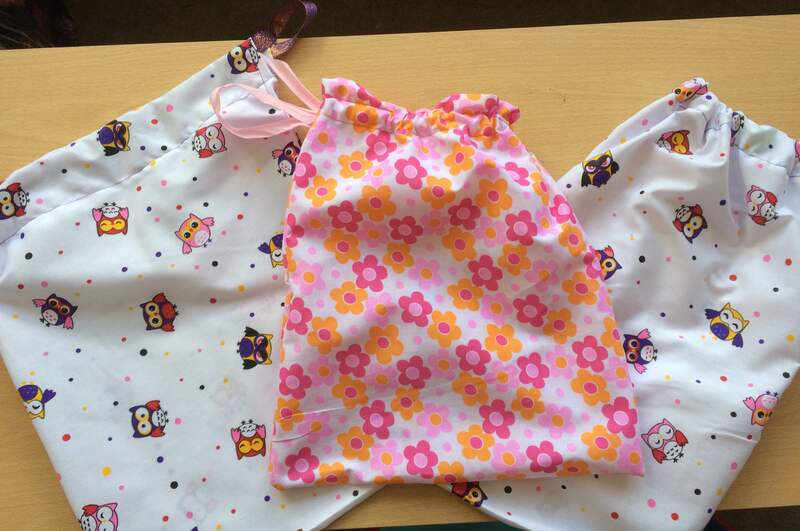 These are photo’s of whats been made in our workshops and sewing bee and its a great reminder of what people have achieved here. 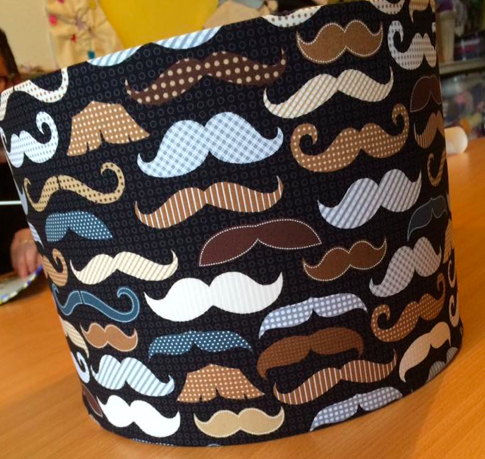 I’ve also been planning April’s Sewing bee plans…. 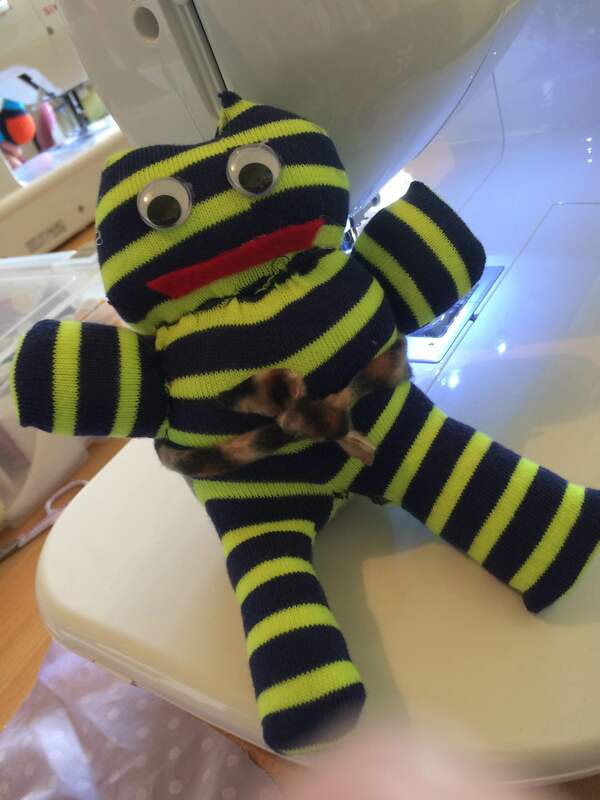 So for our younger groups we are starting using the sewing machines and making pin cushions, drawstring bags, rag dolls. 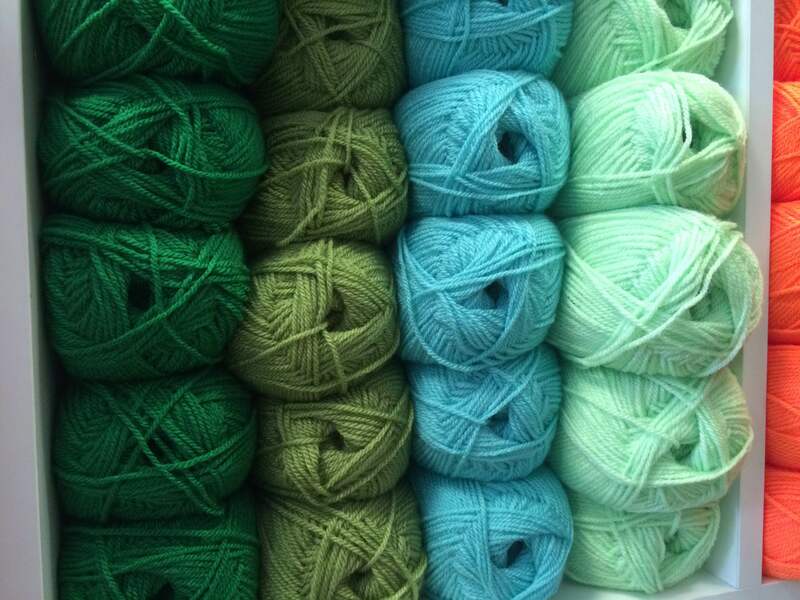 For our older ones we will focus on accessories including hand bands, bows, brooches, key rings and starting hand embroidery. Anyway thanks for joining us again on our weekly trip down memory lane.